Mehrzadeh Abarghooee, M., Sarkargar Ardakani, A. (2018). Evaluation of super-resolution algorithm for detection and recognition of features from MODIS and OLI images at sub-pixel scale using Hopfield Neural Network. 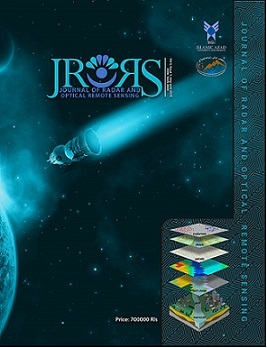 Journal of Radar and Optical Remote Sensing, 1(1), 36-57. Mohammad Hosein Mehrzadeh Abarghooee; Ali Sarkargar Ardakani. "Evaluation of super-resolution algorithm for detection and recognition of features from MODIS and OLI images at sub-pixel scale using Hopfield Neural Network". Journal of Radar and Optical Remote Sensing, 1, 1, 2018, 36-57. Mehrzadeh Abarghooee, M., Sarkargar Ardakani, A. (2018). 'Evaluation of super-resolution algorithm for detection and recognition of features from MODIS and OLI images at sub-pixel scale using Hopfield Neural Network', Journal of Radar and Optical Remote Sensing, 1(1), pp. 36-57. Mehrzadeh Abarghooee, M., Sarkargar Ardakani, A. Evaluation of super-resolution algorithm for detection and recognition of features from MODIS and OLI images at sub-pixel scale using Hopfield Neural Network. Journal of Radar and Optical Remote Sensing, 2018; 1(1): 36-57.
prediction of the spatial distribution of each land-cover class at the sub-pixel scale. land and ad last Vegetation with RMSEs 0.044, 0.072, 0.1 and 0.108.